A 65 year old whose mission is to inspire others of all ages to build healthy bodies and not let limitations stand in the way of their dreams continues to prove that age is no obstacle. She has taken home another gold at the Pole Art Italy World Championship in Milan Italy, Sunday where over 150 athletes ranging in age from 13 to 65, from over 20 countries took part in the world competition. Pontarelli's quest to “have her reach exceed her grasp” has raised the bar for senior citizens. She came to the Pole Art Italy Championship having earned three world titles and made history by capturing her fourth win. Her incendiary performance of "The Phoenix Rising" is a metaphor for transformation and overcoming life's obstacles https://youtu.be/cOxEsrZy_Vk . Pontarelli won the IPSF 2013 and 2014 World Masters Championship in London and in November 2013 she was named the Pole Art Masters Champion at the International Pole Championships (IPC) in Singapore. She was the 1st runner-up in the 2015 IPSF World Championships in London and 2nd Runner-up in the Masters Division in the 2014 PCS Arnold World Pole Championship in Rio. 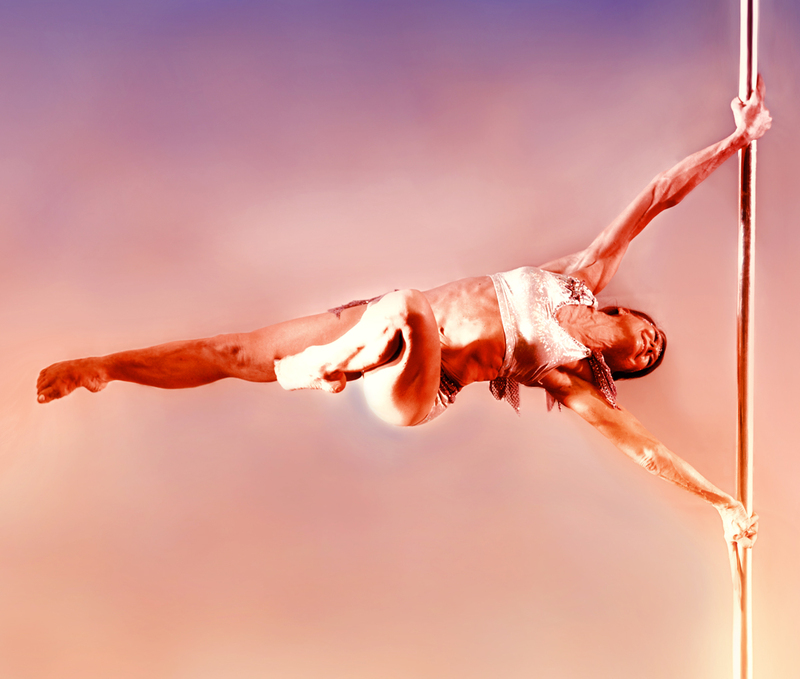 Currently Pontarelli is the world's oldest international Pole Sport and Pole Art Champion. She has become an inspirational figure with a devoted following, not only for pole artists and those who love pole dancing, but for those from all walks of life. Far more important to her than her medals is the platform that the stage provides to manifest her mission to empower others to not let age or any limitation keep them from passionately pursuing their dreams.She continually challenges herself to become the best that she can become and encourages others to exercise, eat wholesome foods and to become masters of their destiny. Pontarelli’s road to World Champion is paved with many national and international championship wins. She has earned six medals at world competitions and four world titles. 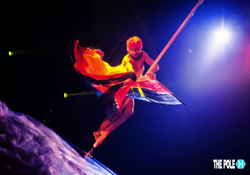 Early in her career she was crowned the 2013 Pacific Pole Competition Masters Champion and Artistic Champion and the 2012 Southern Pole Championship Masters Champion. Pontarelli won national awards as a martial artist in 1976 and in 1966 was named the Pennsylvania Floor Exercise Champion in gymnastics. She has graced the covers of numerous magazines and appeared on national television shows. Pontarelli competed twice on the TV show American Ninja Warrior and at the time was the oldest person to ever attempt the course. In February 2015 she appeared on Australian Television where she shared how honored she was to be featured in the book “The Age of Happiness” which spotlights extraordinary people over 60 from all over the world who are pushing boundaries. Her career has not been without physical challenges. She appeared on the Steve Harvey Show in May and shared how pole sport arrested her osteopenia. https://www.youtube.com/watch?v=RkAqGquQYfk . She is currently an advocate for regenerative medicine and PRP (Platelet Rich Plasma) which has helped heal loss of hip cartilage from years of gymnastics before spring floors. Pole World News honored Pontarelli in April 2015 at the Dorothy Chandler Pavilion, Los Angeles for being an inspiring role model, giving her the “Prestigious Honor Award". Pontarelli is convinced that soon Pole Sport will be an Olympic event. Recently the IPSF received notice from the Federation of International Gymnastics and Sport Accord that Pole Sport is eligible for recognition as an official sport and for inclusion into the World Games”. The IPSF and Pole Sports have been invited to compete at the World Urban Games, which hosts Olympic and non-Olympic Sports.. She shares "This is an exciting time for Pole Sport, Pole Art and Pole Fitness. The Olympics is our goal."